Papers: Correspondence in Mildred Hicks papers, 1917-1945. Finding aid. Papers: 1868-1944. 137 feet. Correspondence, speeches, writings, clippings, and printed matter relating to U.S. politics, U.S. neutrality in World Wars I and II, military conscription, New Deal legislation, the "court-packing scheme" of 1937, the Progressive movement, and the Minnesota Farmer-Labor party. Finding aid. Papers: Miscellaneous papers in various collections including Earl Thomas Bester papers, 1937-1967; Rollo Lester Mudge papers, 1917-1972; and Hjalmar Petersen papers, 1907-1968. U.S. Congress. 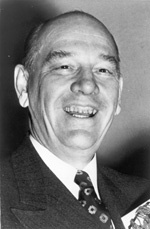 Memorial Services Held in the House of Representatives and Senate of the United States, Together with Remarks Presented in Eulogy of Ernest Lundeen, Late a Senator from Minnesota. 77th Cong., 1st sess., 1941-1942. Washington: Government Printing Office, 1942.